Today's post is a companion piece to yesterday's through La Qua. 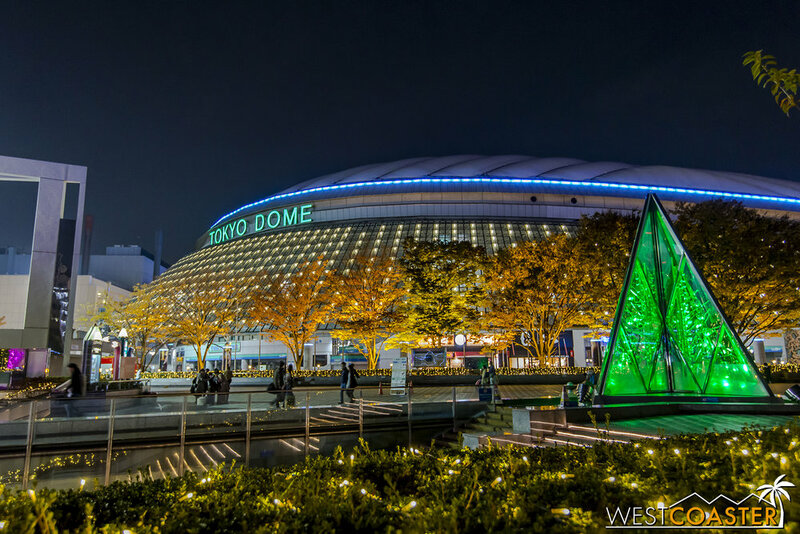 The Tokyo Dome City Attractions (formerly Kōrakuen) are a collection of rides and park spaces clustered around Tokyo Dome Stadium, on the north side of metropolitan Tokyo. 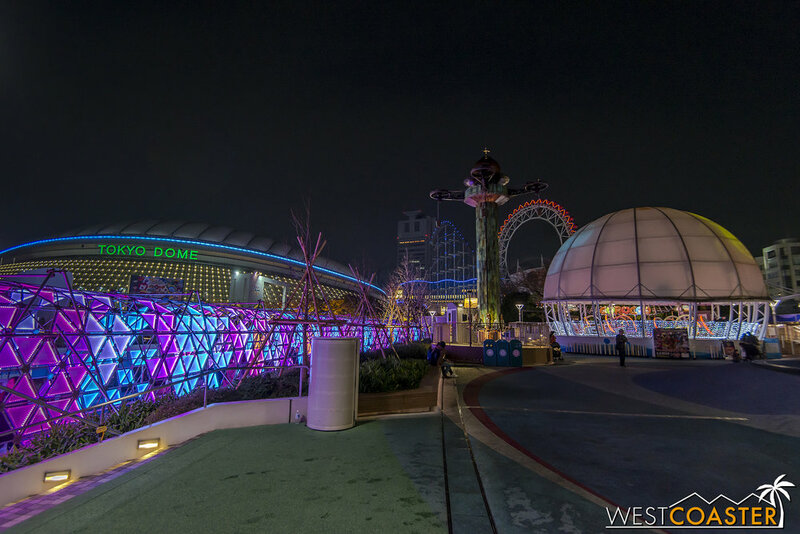 La Qua is actually included within this complex, but I figured it would nice to feature it on its own, since that side is newer and separated from the rest of Tokyo Dome City by a full on street. 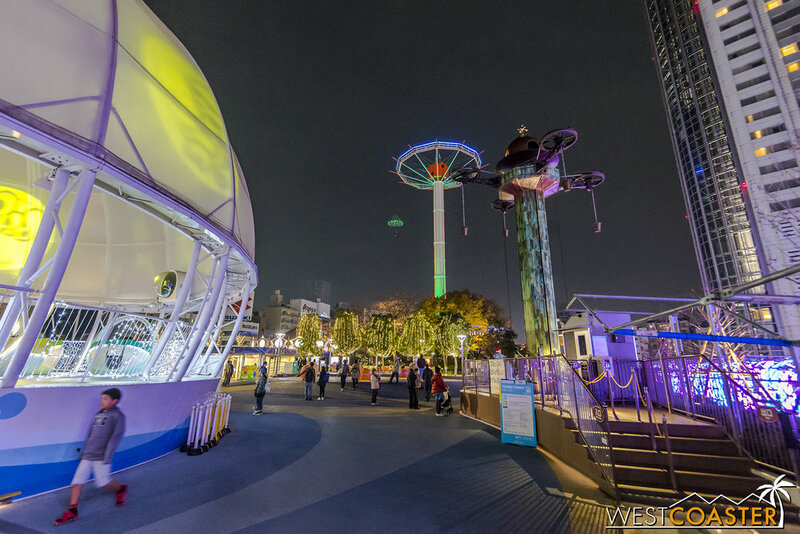 But lets take a quick stroll through the Dome side, in particular, the "Parachute Zone" and "Splash Garden Zone." Like La Qua, this side also features multiple levels, although only the top level is above ground. 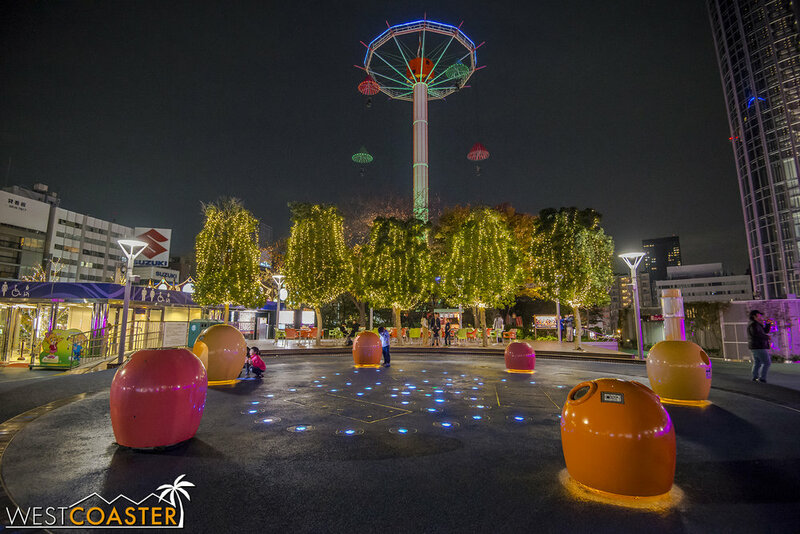 There are some shops and restaurants scattered about, but the most eye catching elements are the amusement park rides, including Sky Flower, a classic parachute drop ride that Southern Californians may recall Knott's Berry Farm having years ago. 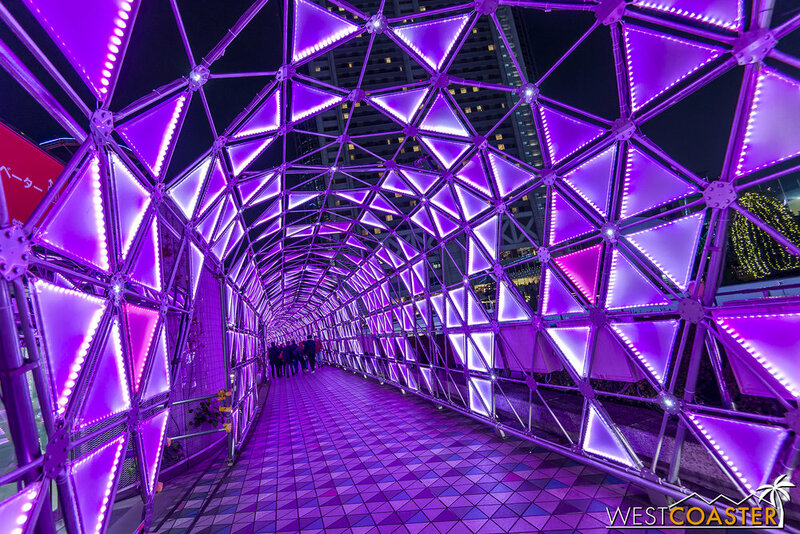 A select number of other attractions dot the complex too, mostly kid-friendly spinning rides, 3D simulator shooting attractions, carnival games, and a haunted house attraction boasted as one of the most famous in all of Japan. Yes, the Japanese have their haunts too, and they do them a little differently than in America, opting for psychological tension and unnerving intimacy. There's blood and gore too, but it's used selectively, relying more on the talents of an actor to inspire terror. 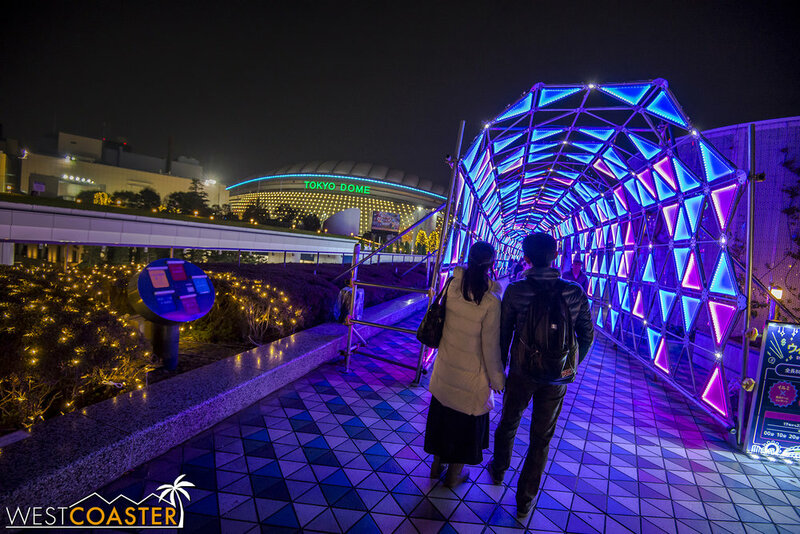 When I visited, I wasn't able to experience the haunted house at Tokyo City Dome Attractions they run seasonally during the summer and fall, but the designers change the haunt up every year, and it's definitely an interesting destination to check out. So that sums up another bit of Tokyo, a city with a plethora of points of interest and tourist attractions to explore. We'll start covering other travel icons too, but since Westcoaster has always been a theme park web site, I think that transitioning from Southern California park happenings to international ones is a good way to ease into our eventual planned expansion into travel guidance and photography. Hopefully, this proves informative to you, the reader!